specialty | SANPOUTEI RAMEN 2014.3.17 MON GRAND OPEN! 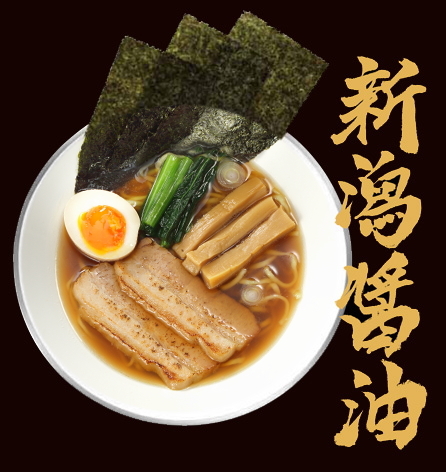 One of the japanese traditional floavor.Niigata-born SHOYU Ramen has been carried since its foundation in 1967.Uncompromisingly produced SHOYU soup is made of combination of6 hours stewed clear soup stock which is made of mixture of vegetables,whole chicken,tonkotsu and some other ingredients and 2 different kinds of dried sardine imported from japan.Enjoy the ultimate SHOYU Ramen with Niigata’s original flavorful fish stock. 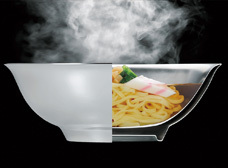 Specially manufactured DONBURI as SANPOUTEI “keep warm” bowl is produced in Tsubamesanjyo,Niigata.where well known as long-history and specific techique for producing metalworking. Homemade fresh noodle persistently produced by in shop noodle making machine. 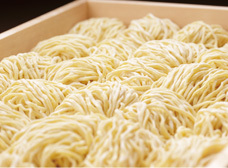 Enhancing rate of hydration by slower preparation than usual to produce four-layer piled special noodle.Slowly prepared noodle has features of both firm and springy texture.SANPOUTEI homemade noodele offers soft,springy and silky texture enjoyment.